If you can put up with me for a while, Marigold will be along later in the piece. We drove away from Totnes with its wide range of individually owned shops and timeless charm with hedonistic Torbay as our next destination. Not quite candy-floss and kiss me quick hats, but this is July so anything goes. 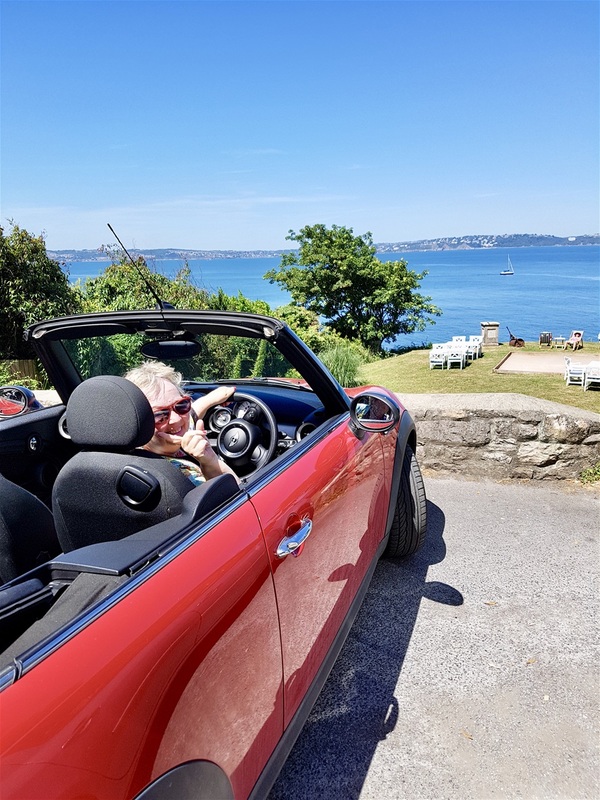 The narrow lanes of Devon don’t bother Mini Coopers so we only had to seek the shelter of a hedge twice – almost unheard of at this time of year- and made a brief stop in Babbacombe, home to what I’ve been told is the highest promenade in the country. There are stunning views over Lyme Bay and down to Oddicombe beach. It’s a long way down, but we wisely decided we could make do with the view from the top of the cliffs. There’s a model village here too, if you like that sort of thing. 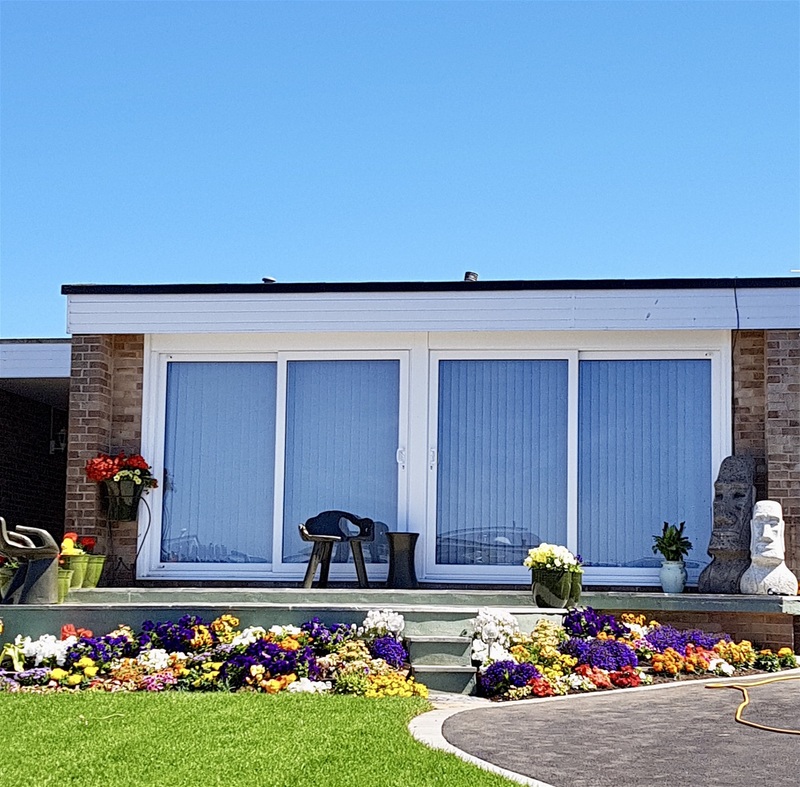 We moved on to the ultimate retirees’ destination, Torquay, with its palm trees, busy harbour and relentless desire to offer everything to the visitor, whatever their age. 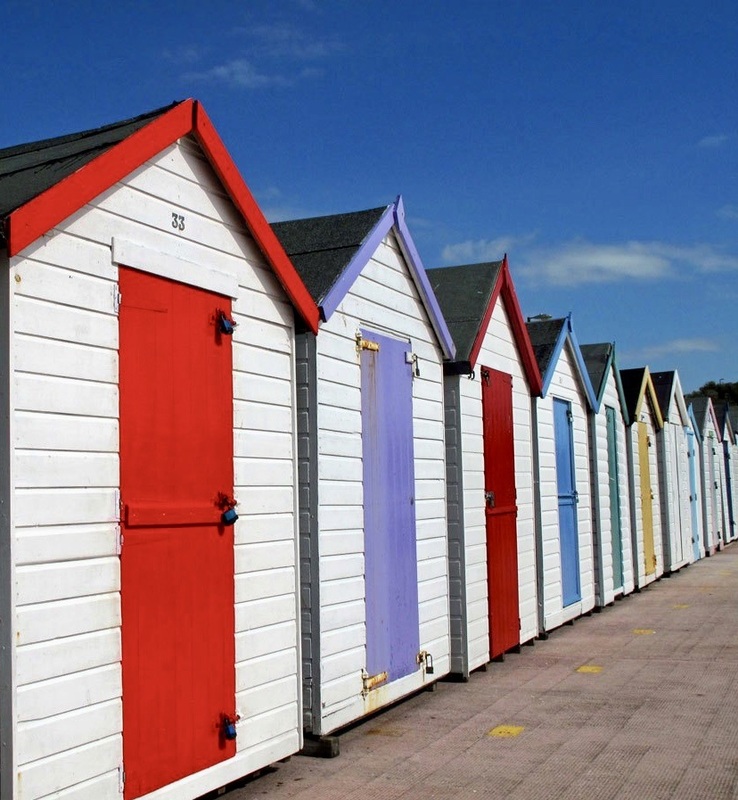 There’s a theatre, a big wheel and any amount of tourist attractions to attract the summer trade while the mild climate keeps the many elderly residents happy through the winter months. 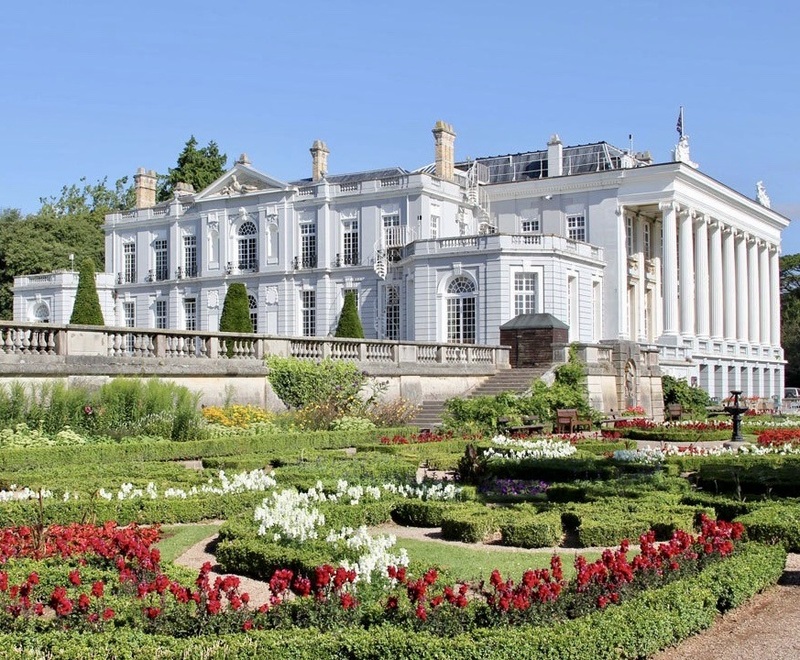 There’s a gorgeous Abbey too, Torre Abbey, just off the sea front and its lawns were packed with picnicking holidaymakers as we passed by. I remembered from a previous visit reading an information sheet saying the Abbey was once the wealthiest Premonstratensian abbey in England. (Yes, I checked the spelling). I reminded Marigold of this and she said, ‘I was just going to say that.’ Almost but not quite, convincingly. On one of our many journeys around France we once visited Prémontré Abbey itself, where the Order was founded, and there are Premonstratensian abbeys or priories throughout the world. We’re not obsessed by abbeys, far from it, but we do like old buildings with character and I’ve yet to come across a ‘boring’ abbey. As for this particular religious order; I just like the name Premonstatensian. Once remembered, it rolls off the tongue. Not always the case for other people, Marigold points out, reminding me of her total inability to pronounce the word, ‘apocalypse’ so ‘Premonstatensian’ is a complete non starter. 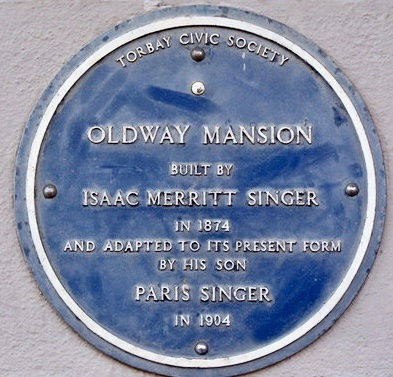 Torquay is the birthplace of many notable people: Agatha Christie, Peter Cook and Miranda Hart, for instance, while several sketches of “Monty Pythons Flying Circus” were filmed here and a hotel in the town was the inspiration for ‘Fawlty Towers’. It’s also the birthplace of two men whose exploits were a source of fascination to me as a young boy: Sir Richard Burton (not the one who married Elizabeth Taylor) and Colonel Percy Harrison Fawcett. I looked up Sir Richard Burton to check his date of birth (1721) and he is described as a British explorer, geographer, translator, writer, soldier, orientalist, cartographer, ethnologist, spy, linguist, poet, fencer and diplomat. He’s also reputed to have spoken 29 European, Asian and African languages, which makes my difficulties earlier that day in Totnes with my failing command of the French language seem even more feeble. Burton visited Mecca, in disguise, at a time when Europeans were forbidden access on pain of death, translated the Arabian Nights and the Kama Sutra into English and with John Hanning Speke became the first Europeans to visit the Great Lakes of Africa in search of the source of the Nile. Explorers, the men who expanded my horizons and imagination at a very young age, still fascinate me. Colonel Percy Harrison Fawcett was born in Torquay in 1867 and his exploits as an archaeologist and explorer in South America formed the basis of Sir Arthur Conan Doyle’s novel The Lost World and, much later, as the inspiration for ‘Indiana Jones’. Fawcett vanished, never to be seen again, searching for a ‘lost city’ he named Z somewhere in the uncharted, pretty much so even to this day, Mato Grosso region of Brazil. 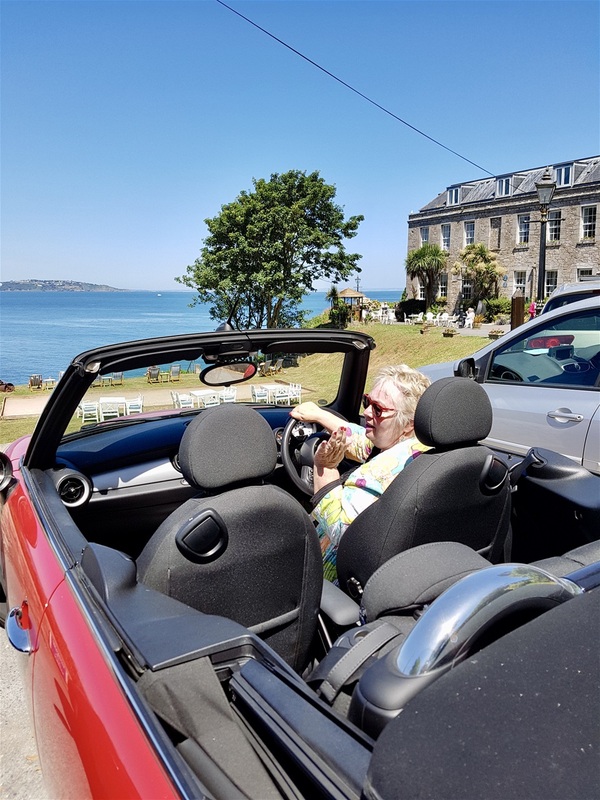 We were bound for Brixham, at the far side of the bay, so we pressed on after deciding it was a bit too hot to wait an hour or more for a parking space to become available. 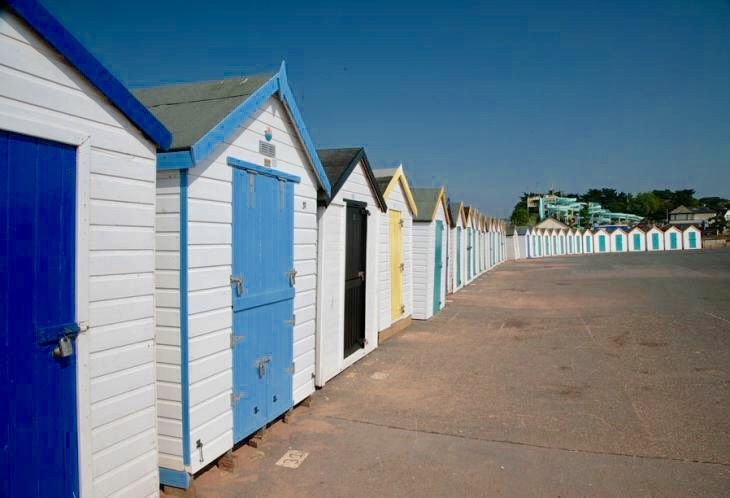 Neighbouring Paignton has numerous brightly coloured beach huts, decent beaches, a cinema, railway station and the spectacular Oldway Mansion, built as a private house for Isaac Merritt Singer, the sewing machine inventor, and rebuilt by his third son Paris Singer in the style of the Palace of Versailles. (I’m grateful to a blue plaque for this information). We didn’t at first sight exclaim, ‘it’s just like Versailles,’ but it’s still an impressive house. Onward then to Brixham. In fairness, we didn’t immediately fall in love with the town when we were on the brink of buying a property here. Much of it is run down and a bit scruffy, but the harbour is attractive enough and boasts two remarkable features, only one of which attracts tourist interest, if today is any guide. Unless you have a ‘Historical Bent’, which a close friend once assured me I possess. Sounds vaguely gynaecological, doesn’t it? The biggest attraction in the harbour is a replica of Sir Francis Drake's ship ‘The Golden Hind’. Captain Drakes's original ship was the first to circumnavigate the world between 1577 and 1580. The ‘copy’ has been in the news recently with one of those great human interest stories that feed the tabloid press about a man who went for a day out with his children and ended up buying the Golden Hind. Sean and Mary Twomey, who run the Torquay Backpackers International Youth Histel, bought the replica of Sir Francis Drake's galleon and have guaranteed that it will stay in Brixham. The previous owner had one reputedly far larger offer from a group wishing to remove it to San Francisco harbour, but was insistent on it remaining in Brixham. This ‘version’ of the Golden Hind replaced the ‘original replica,’ if that makes sense, which was a converted fishing boat that sank in 1987 while being towed to Dartmouth for restoration. The replacement replica, not full sized, was completed in 1988 and is not seaworthy, but attracts many admirers in the harbour. Last time we were in London we saw another version of the Golden Hind. This is a full-size reconstruction of the ship, was built by traditional methods in Appledore, Devon and launched in 1973. She sailed from Plymouth on her maiden voyage in late 1974 to San Francisco. In 1979, she sailed to Japan to make the movie Shogun, after which she returned to the UK having completed a circumnavigation of the globe to match the feat first achieved by Francis Drake. Obviously, there wasn’t a great deal wrong with the original design and specification. Since 1996 she’s been moored up in Southwark. Quite evidently, as far as seaworthiness goes, the version we’re looking at today is very much a poor relation. It would struggle to even leave the harbour. Even so, it looks good and nobody here appears disappointed. The other attraction in the harbour area is attracting no interest whatsoever. Only Marigold and I can be bothered to go and look at a statue of a man with no nose, yet it represents the most important event in Brixham’s entire history. 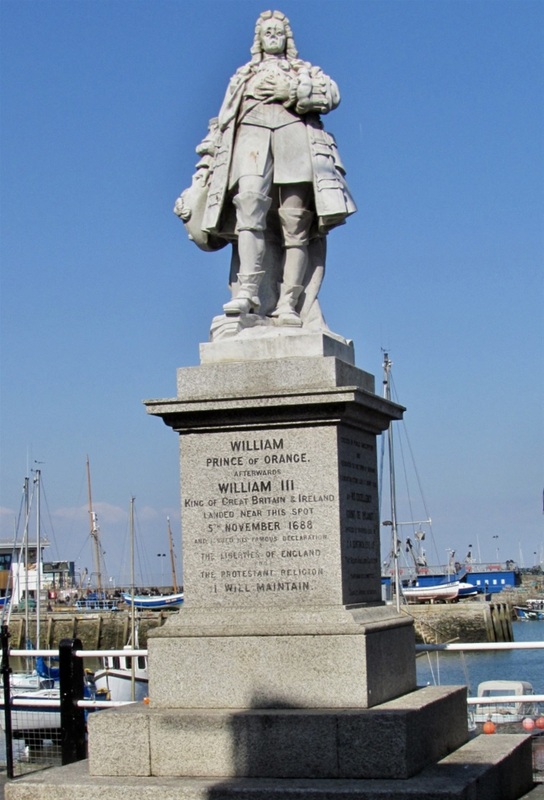 In 1688, William of Orange made his claim to the English throne in Brixham Harbour stating to the apparently sparse crowd in attendance ‘The Liberties of England and The Protestant Religion I will maintain’. He had just landed with his Dutch army after being invited to come and take his place as ruler of England. He brought his army with him, evidently suspecting not everyone would be in agreement with this idea. The road leading from the harbour up a steep hill is called Overgang which I suspected was a Dutch word and later confirmed it was indeed so and meant ‘crossing,’ being the road up to where the Dutch army made their camp. What became known as the Glorious Revolution followed. William of Orange became co-ruler with his wife and cousin, Mary II, daughter of James II, the monarch they succeeded who was destined to become the last Roman Catholic monarch of England. On the statue, William’s nose is absent, but there’s no evidence to suggest the vandalism was the work of irate priests threatened with imminent redundancy. 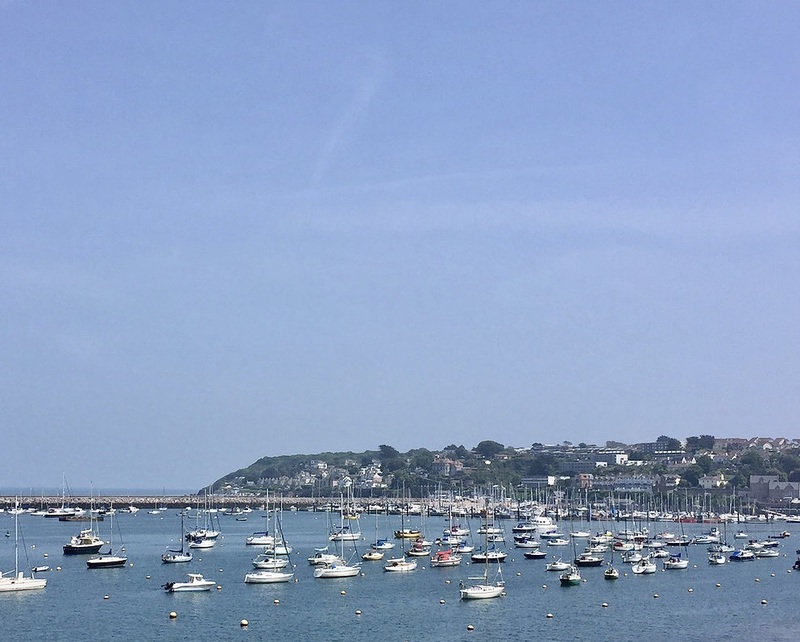 Apparently, the modern fishing trawler was invented here in the nineteenth century and the town was also one of the places from which American troops bound for the D Day Landings left, but that’s about it for Brixham. 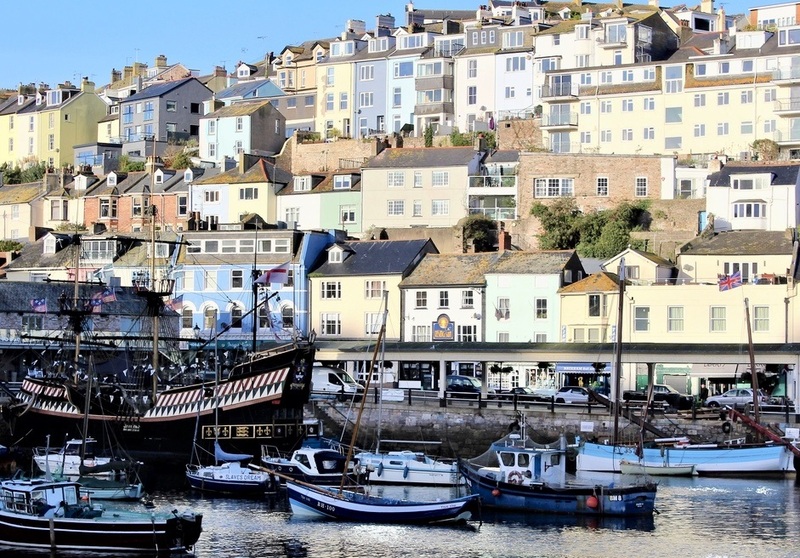 If Torquay claims a whole host of famous people born in the town, sadly, Brixham falls short. Famous people born in Brixham? None that I could find. Apart from Hannah Harper a pornographic actress who once featured as Penthouse Pet of the Month in 2002. Apparently. Would-be parents living in Brixham should perhaps consider moving up the road to Torquay if they have any future expectations for their intended child. The delightfully situated Berry Head Hotel was originally built as a military hospital in 1809 during the Napoleonic Wars, and was later the home of Reverend H F Lyte who wrote the famous hymn ‘Abide With Me' here, reputedly on his deathbed. We’ve been here before, several times, and decided we’d pay another visit after walking around the headland. We drove up the hill, ignoring the hotel for now, to take another look at the area in which we almost became property owners a few years back. The views of the sea are impressive, but the best aspect of the area is easy access to Berry Head nature reserve. 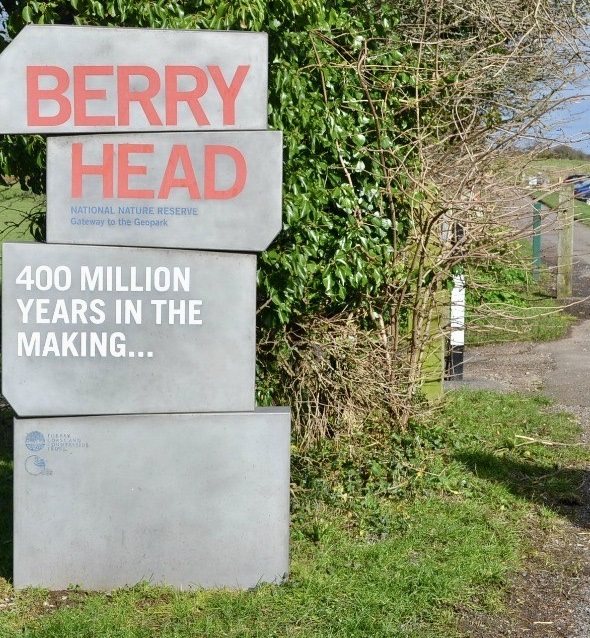 A sign says, ‘Berry Hill, 400 Million Years in the Making’ which is pretty impressive. At one time there was an Iron Age Fort here – not exactly 400 million years ago, but worth a mention - but all remnants of it were destroyed when the building of Napoleonic War defences took precedence. This place is exactly what a nature reserve should be: wild, untamed, peaceful and with stunning cliff top views to provide ‘wow factor.’ We’re perched on 200 feet high cliffs, surrounded by water on 3 sides and the views are breathtaking. On the far tip of Berry Head is a unique lighthouse. It is not only the smallest lighthouse in the United Kingdom it is also the highest. 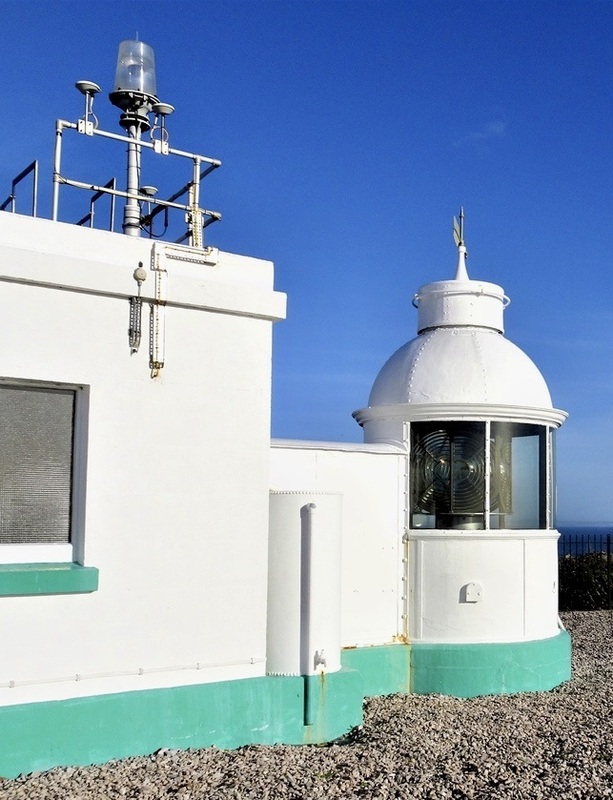 This apparent paradox comes about because the building housing the light itself is pretty insignificant, about the height of a bungalow, hence the claim to being the UK’s shortest, but perched on these high cliffs it is also higher above sea level than any other lighthouse. A ‘trainspotter’ type in a tattered anorak turned up as I was taking a photo and started to tell Marigold all about the lighthouse. She was surreptitiously rolling her eyes so I rescued her, but I do remember the wise man of the cliffs saying this was not only the lowest and smallest lighthouse in Britain, but also the deepest. Apparently, a weight acting as a counterbalance that used to turn the light went down a shaft almost to sea level. I haven’t checked this, but if it turns out to be nonsense, blame an anorak wearing know-all named Roger. Irritating? Yes, just a tad, after a while! We did see a lot of guillemots though. Roger the sage of Berry Head, assured us we would see both porpoise and dolphins out to sea from the cliff edge and that a humpback whale had been seen swimming around for a whole month last year. Did we see any of them? Er, no. 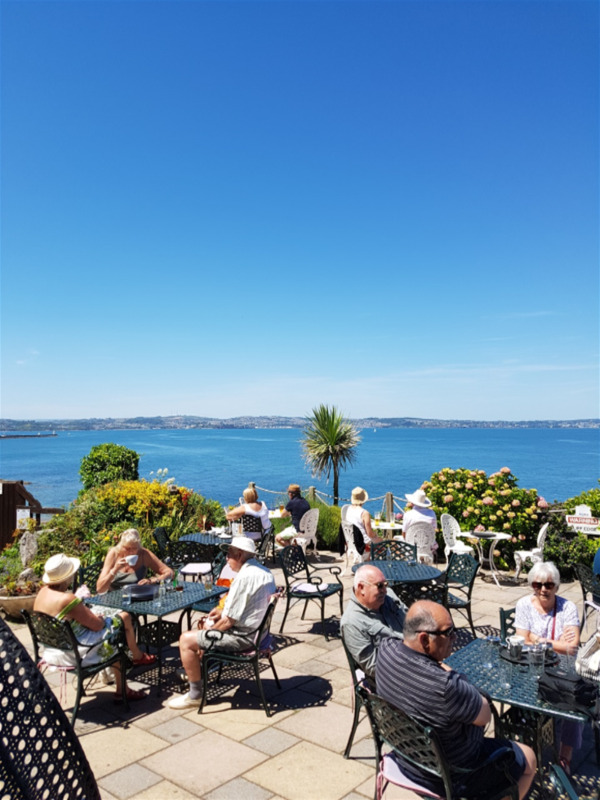 We’d managed to avoid going into the ‘award-winning’ Guardhouse Café as we were set on going to the Berry Head Hotel, but it certainly seemed a popular stop. ‘Award Winning’ doesn’t seem to mean anything special anywhere in Devon or Cornwall as it’s very hard to find a café, pub or restaurant or buy an ice cream or pasty that doesn’t boast of ‘award winning’ status. We returned to the car and went to the award winning, of course, Berry Hill Hotel. Marigold will tell you all about it, coming up next. Arrived at The Berry Head hotel. Been before and it is a magical setting. 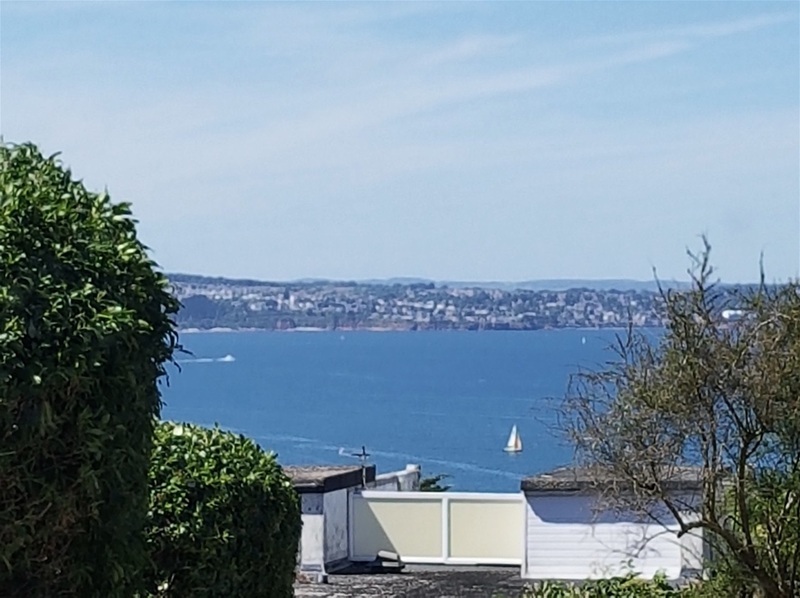 When we were in the throes of nearly buying in Brixham, we found the walk down from the top, through a wooded area and then onto a track to the hotel. Loved it, as it was a gorgeous day and it was a huge plus in the plus and minus sections. Again, today was gorgeous. The terrace was packed so we went inside. Found some lovely armchairs, ordered pot of tea and some hand carved ham sandwiches, served with salad and crisps. Just the ticket and they didn’t disappoint. Just as I had taken a mouthful of grub, a couple sat opposite and the man said to me “you look as if you are enjoying that”. Wanted to say, “well I was, until you turned up”. I know my cheeks were bulging with food, but he didn’t need to mention it. Ate the rest with little bites as he started talking about all sorts of stuff, and quite frankly ruined my munching. His wife was faffing about at the bar, ordering food. They must have been the fussiest people alive. ‘Don’t put any crisps on the plate, he won’t eat them and if he did he’d only make a mess,’ she shouted, loud enough to be heard on the outside terrace. ‘You can put about half a dozen on mine, but I don’t want any of the flavoured ones and definitely not if they’re crinkle cut. We want butter on the bread, if I find margarine it’s coming straight back and make sure there’s nothing smothered in mayonnaise as well,’ was the gist of what she was bellowing at the poor girl taking the order. She sat down opposite us and started telling G she’d be ‘giving this place a try but wasn’t hopeful.’ At the top of her voice. Eventually, I said to G ‘bring your plate and follow me as our friends are over there,’ muttered “goodbye” to the awful couple and scarpered to the library. Ecstasy, finished our sandwiches in peace. Only us in, and I then had a 20 minute kip. Had a walk around the gardens afterwards . Two teams of people were playing boules, rather noisily, and taking it ever so seriously. Said to G “they seem like show offs”. They were measuring and gesticulating madly. Then we realised they were French. No wonder it was so precise. We weren’t asked to join in. We have played boules when we lived in France, often with with plastic boules. It was always chaotic as our dog used to run off with them and they had all got chew holes in. There were a lot of people sitting on the front of the hotel enjoying the spectacular views, and probably thinking like us “ it doesn’t get much better than this”.